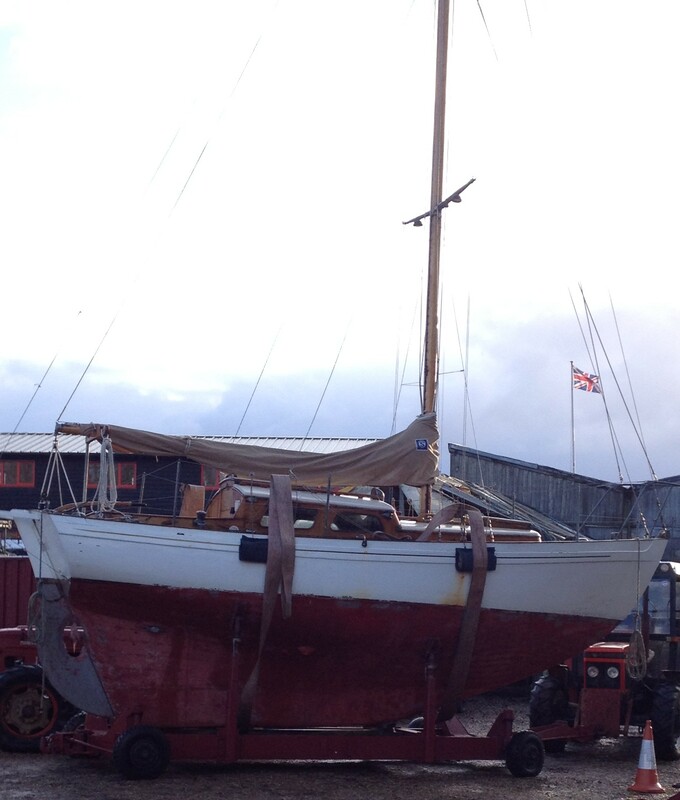 The plan was to lift Drumler out in November, then work steadily over the winter to strip the hull and re-paint. The lifting out part went smoothly. Here she is being taken to her cradle. On her way to her winter cradle. Inevitably, nothing happened until March, at which point panic sets in….